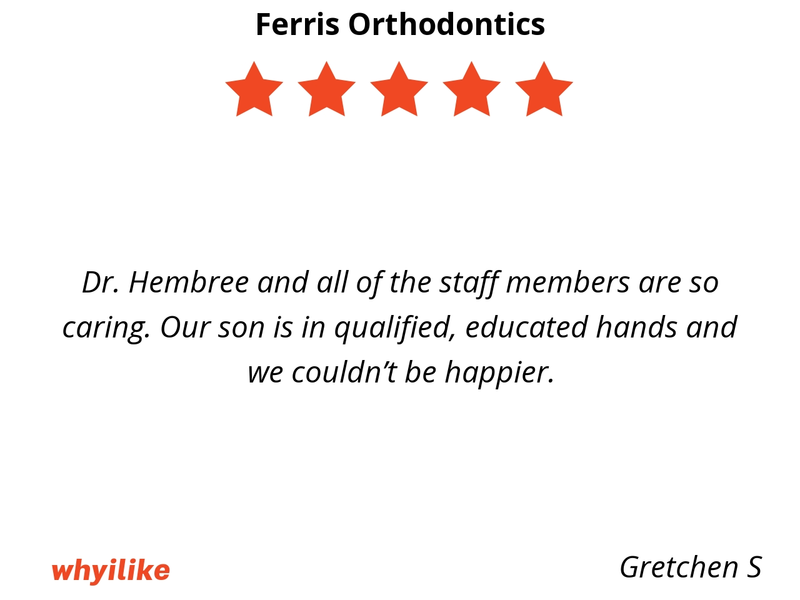 Welcome to Ferris Orthodontics! 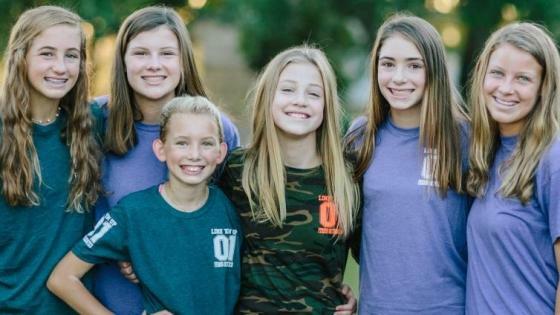 We are committed to delivering personalized service and an enjoyable orthodontic experience in a friendly, comfortable and fun environment. 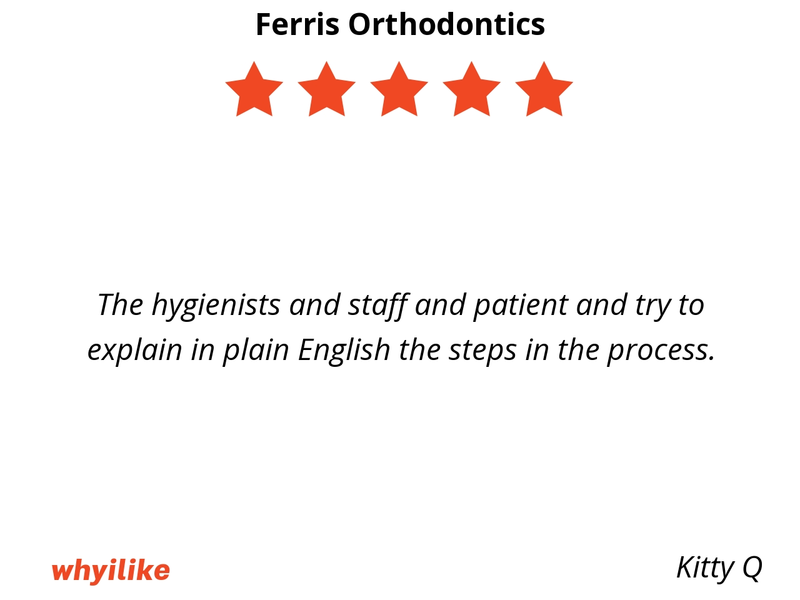 Dr. Ferris is very knowledgeable in his field, a perfectionist (yeah!!!) he and all of his staff are kind, and very professional. Thank you for such a great orthodontic experience my 2 years actually went by very quickly until like the last month. I think that was because I knew they were coming off really soon, so therefore they couldn’t get off quick enough. The staff is unbelievably friendly and caring! They absolutely blew us away with the transformation of our sons teeth, we truly couldn’t be happier! Thank you Dr. Hembree and Dr. Ferris! First day in braces and it was definitely ok!!! Great explanation for procedure this morning before braces installed. Thank you for the efficiency and care. Looking forward to the next months for the care and warmth received today. Keep up the great work...I am very satisfied. Dr Ferris did a beautiful job on my daughters teeth! Everyone in the office is so friendly, and willing to help out in any way. I really appreciate how efficient they run their office. We never had a long wait time, yet we never felt rushed once it was our turn. They always take their time to do quality work and answer any questions we would have. 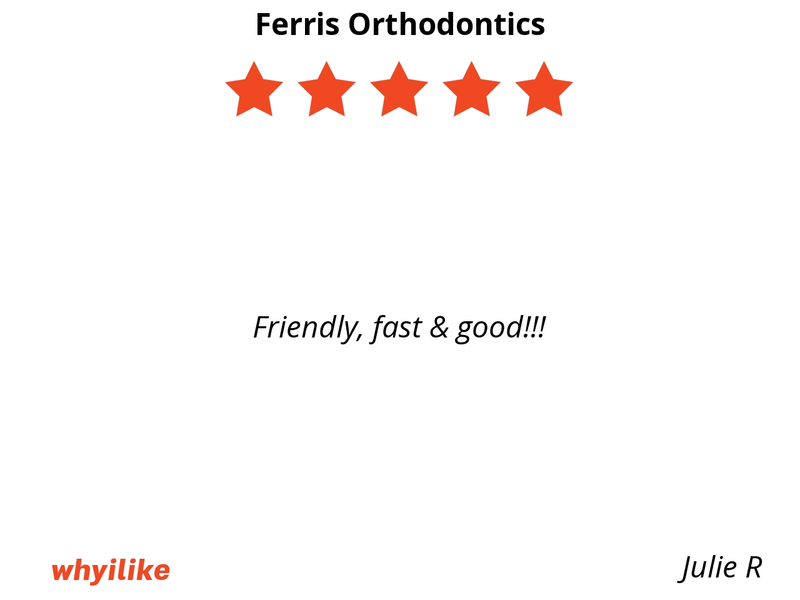 Ferris Orthodontics is the very best and I highly recommend them to all. 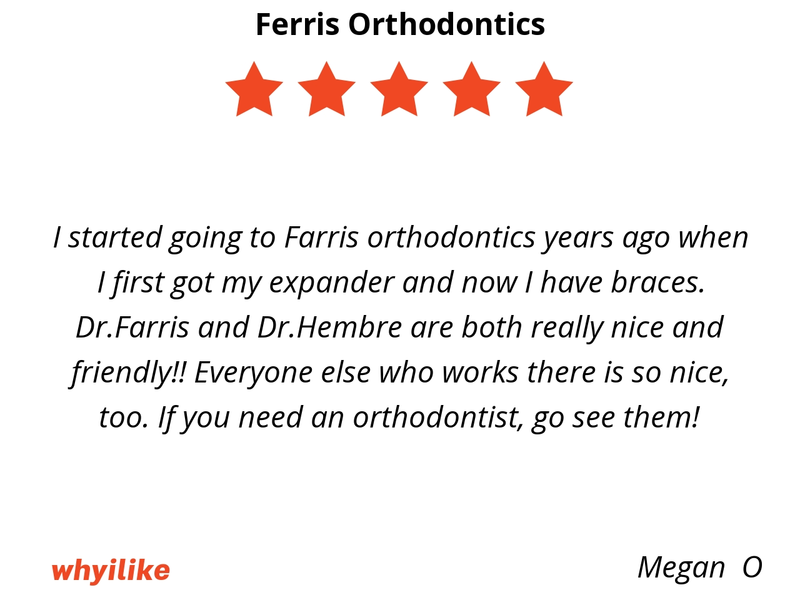 I started going to Farris orthodontics years ago when I first got my expander and now I have braces. 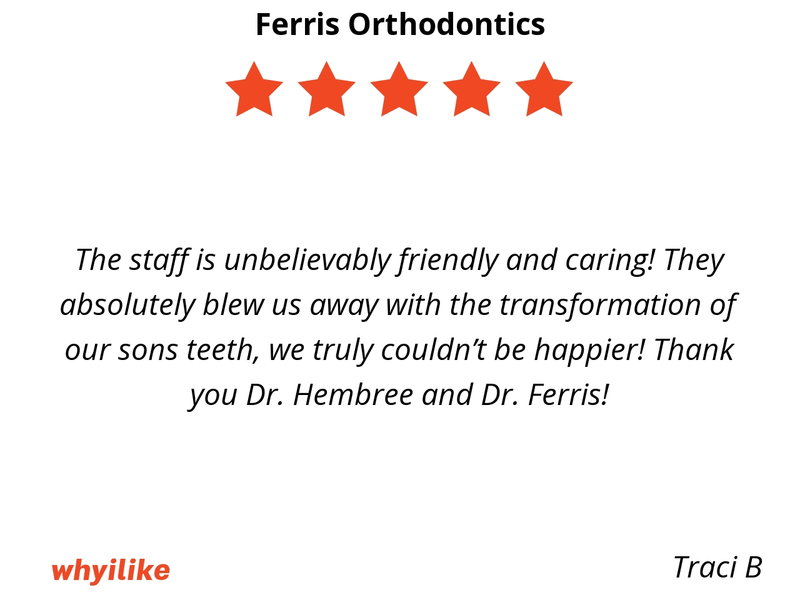 Dr.Farris and Dr.Hembre are both really nice and friendly!! Everyone else who works there is so nice, too. 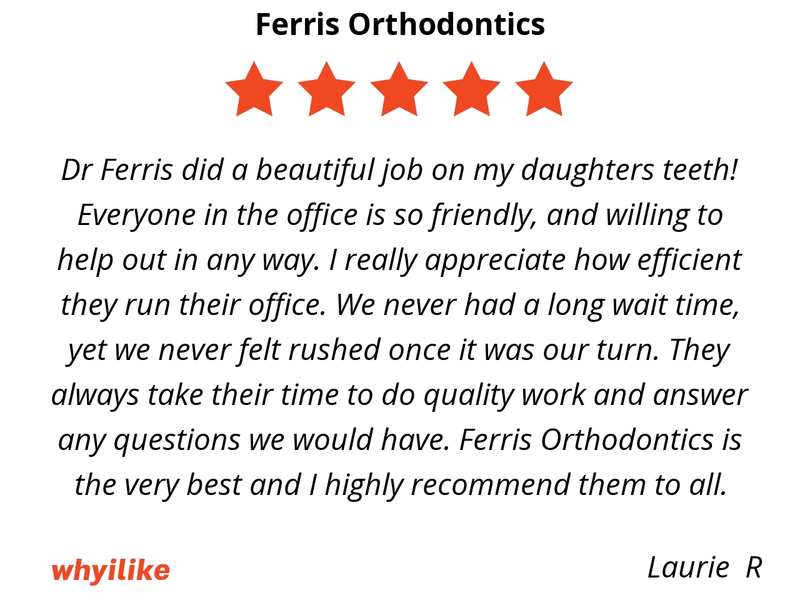 If you need an orthodontist, go see them! 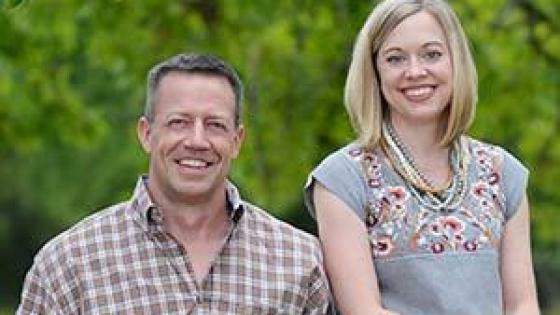 My kids have been treated by Dr. Ferris and Dr. Hembree. All of the assistants are very friendly and great with kids. Their teeth look amazing, and they enjoy their visits. I really appreciate their attention to detail and perfectionism when it comes to finishing. 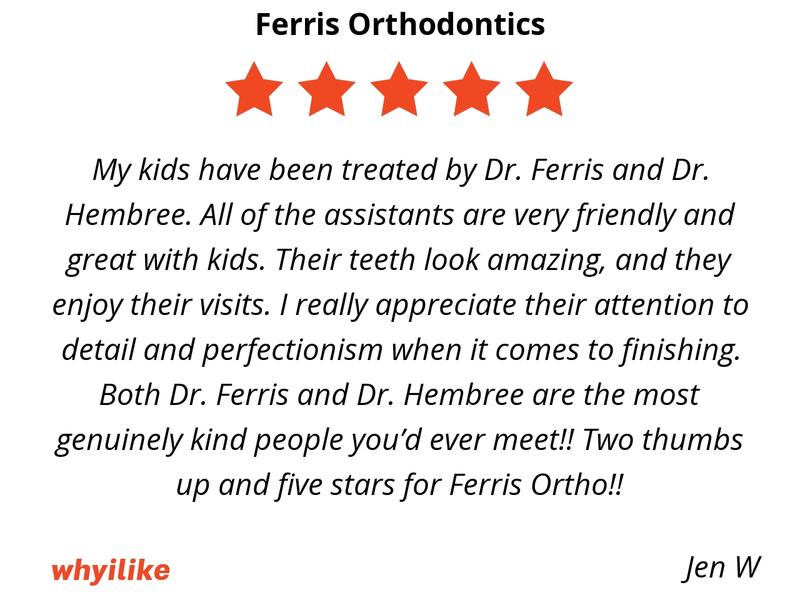 Both Dr. Ferris and Dr. Hembree are the most genuinely kind people you’d ever meet!! 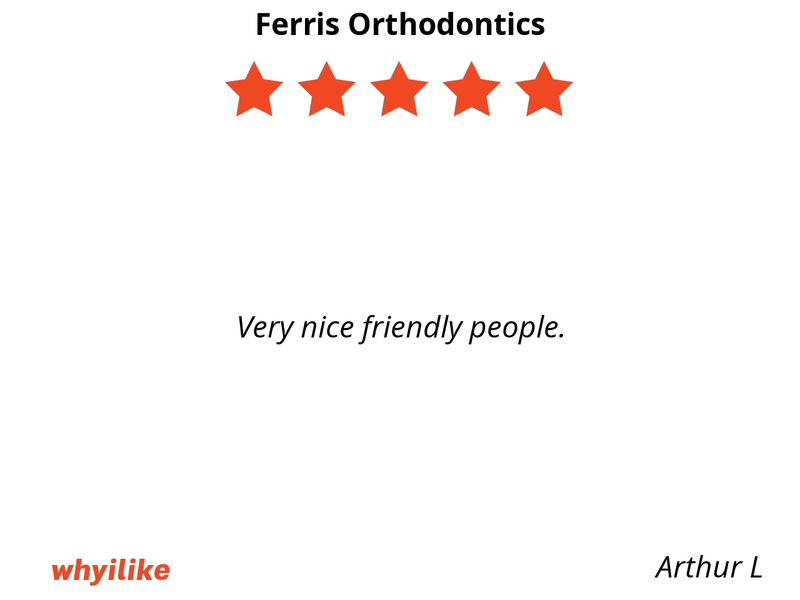 Two thumbs up and five stars for Ferris Ortho!! 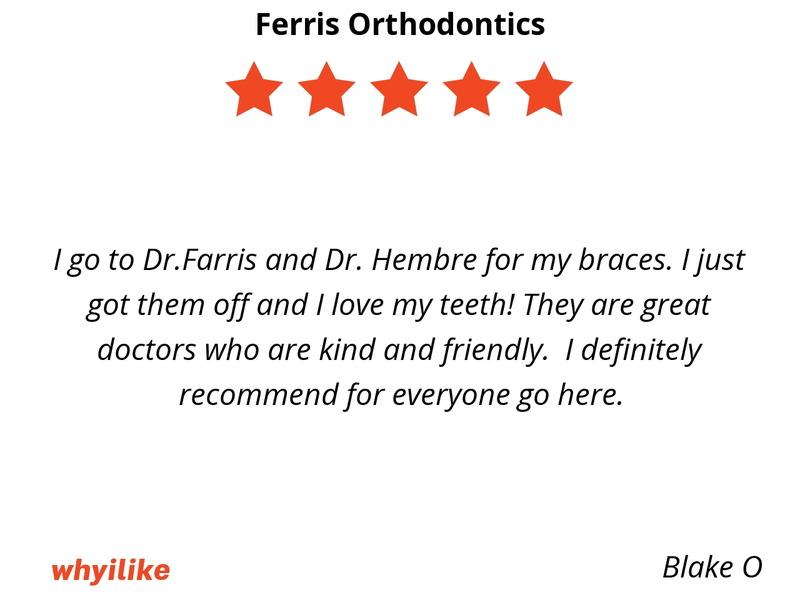 I go to Dr.Farris and Dr. Hembre for my braces. I just got them off and I love my teeth! They are great doctors who are kind and friendly. I definitely recommend for everyone go here. 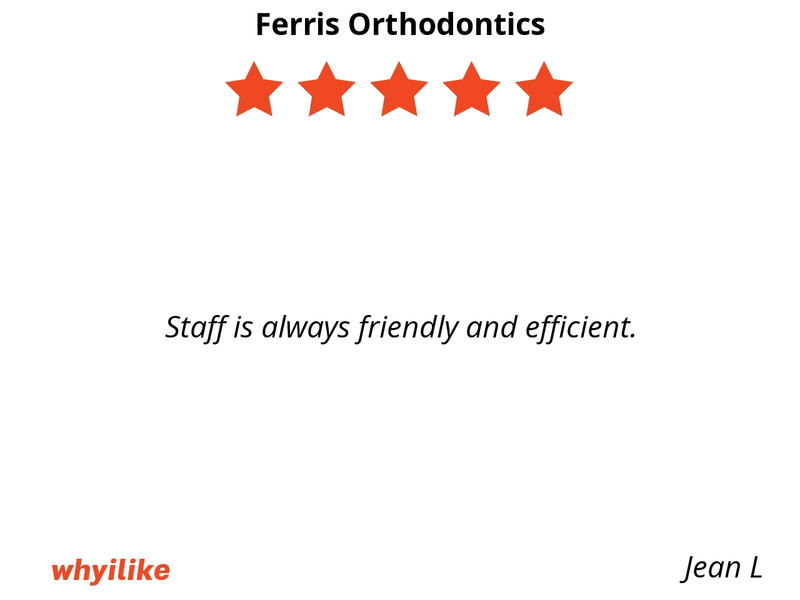 I like Ferris Orthodontics because everyone is so helpful,kind and funny there. 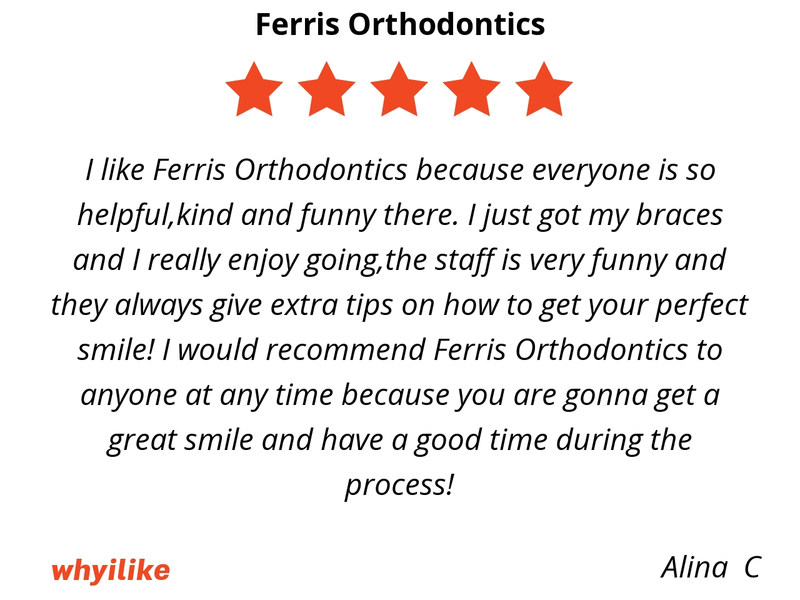 I just got my braces and I really enjoy going,the staff is very funny and they always give extra tips on how to get your perfect smile! 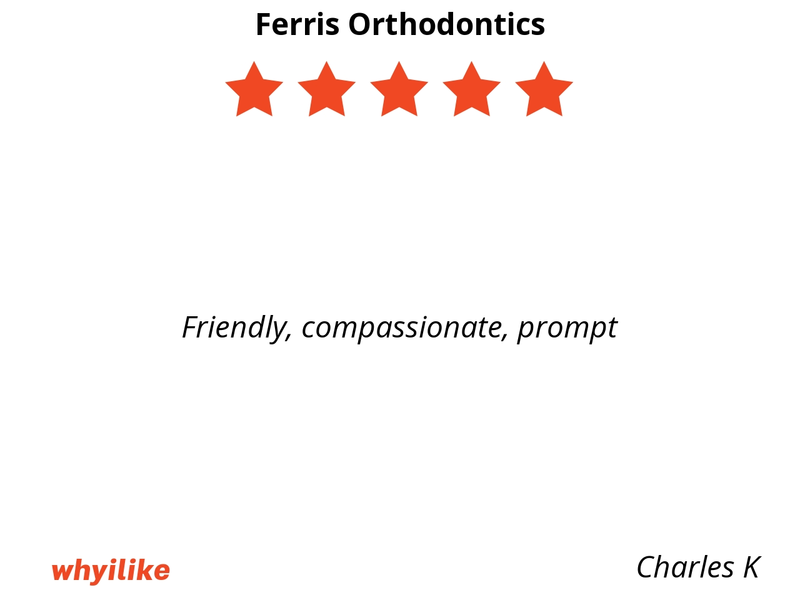 I would recommend Ferris Orthodontics to anyone at any time because you are gonna get a great smile and have a good time during the process! 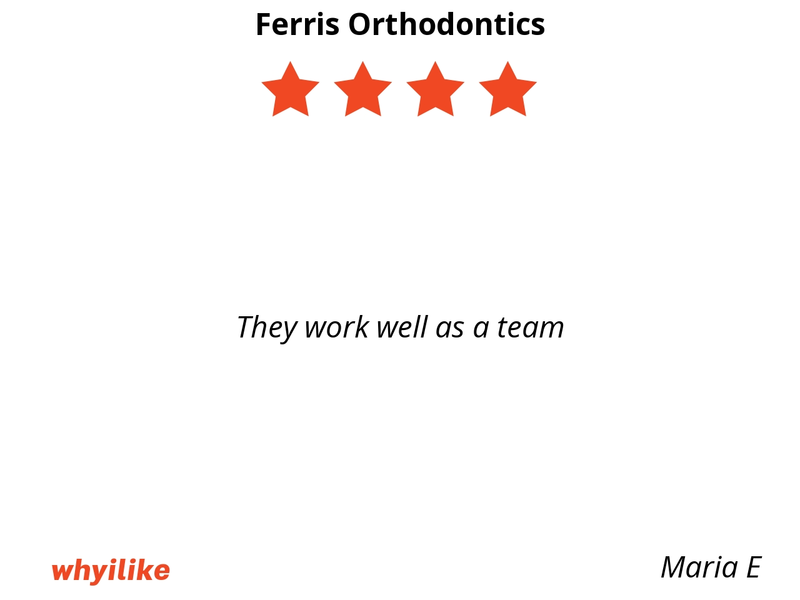 At Ferris, they are super nice and work good as a team. I am 14 and I got my braces a week ago, and they did a great job! 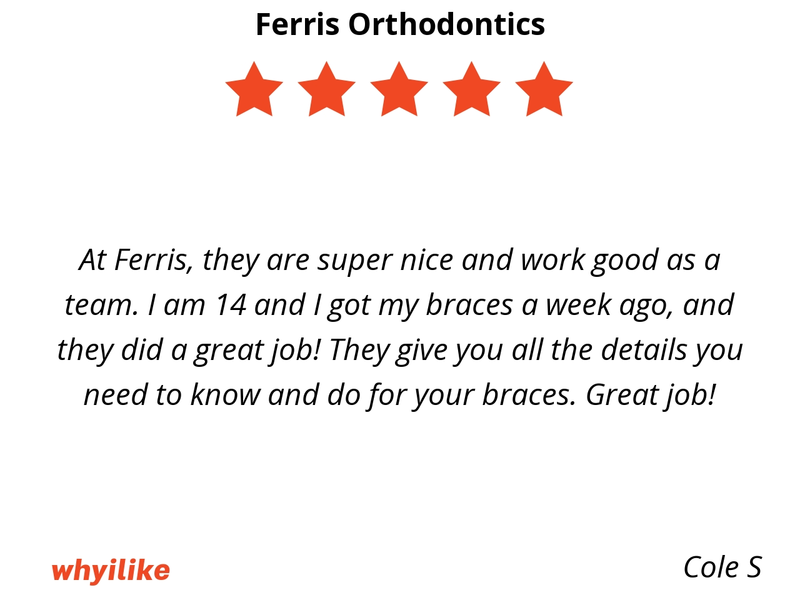 They give you all the details you need to know and do for your braces. Great job! 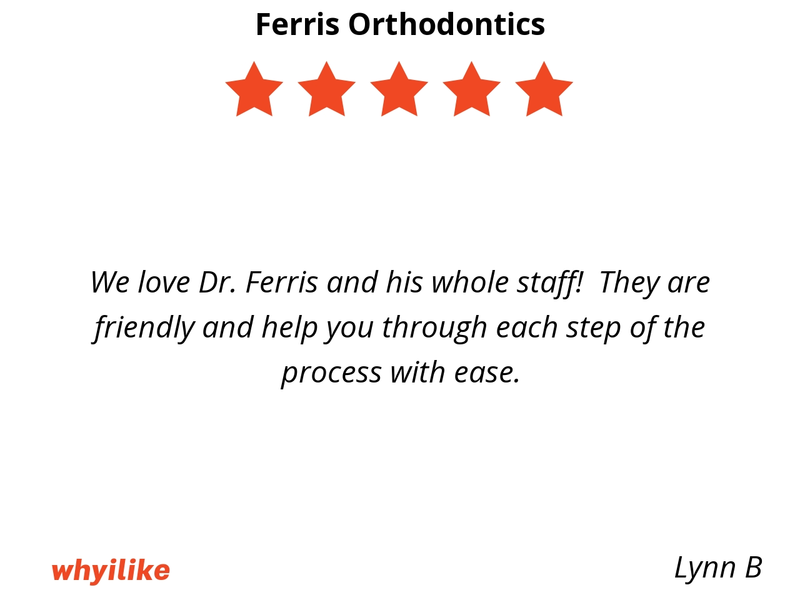 We love Dr. Ferris and his whole staff! They are friendly and help you through each step of the process with ease. Dr. Hembree and all of the staff members are so caring. Our son is in qualified, educated hands and we couldn’t be happier. Staff is always friendly and efficient. They are the best!! Always so kind and helpful!! 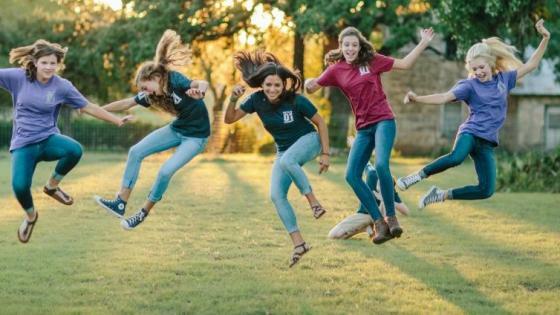 Love the entire staff! 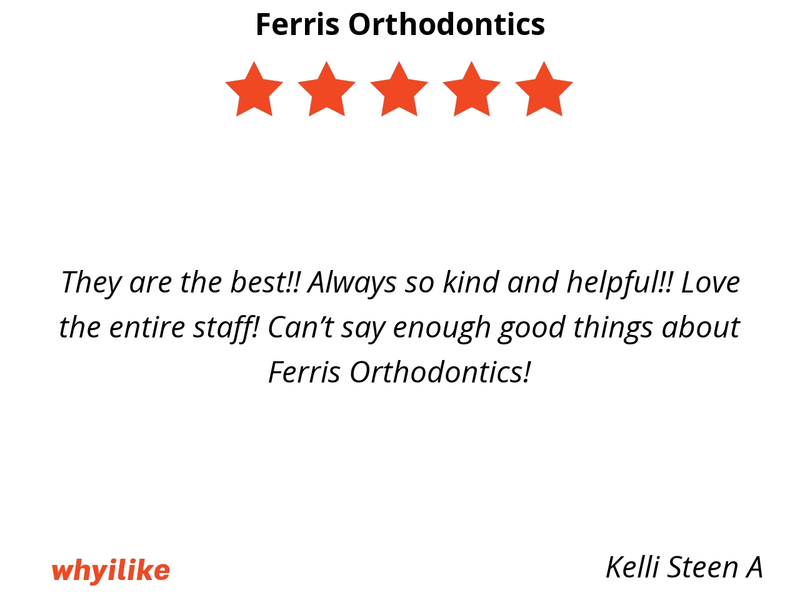 Can’t say enough good things about Ferris Orthodontics! The hygienists and staff and patient and try to explain in plain English the steps in the process. 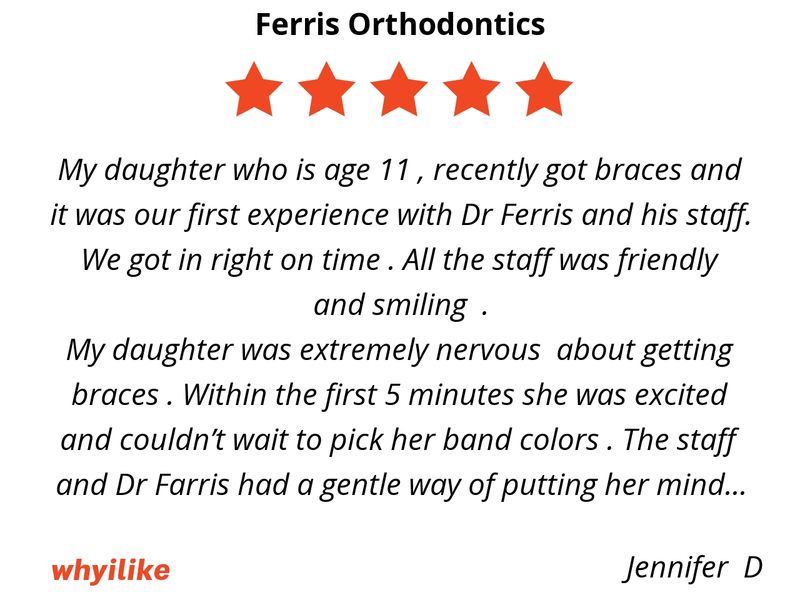 My daughter who is age 11 , recently got braces and it was our first experience with Dr Ferris and his staff. We got in right on time . All the staff was friendly and smiling . My daughter was extremely nervous about getting braces . Within the first 5 minutes she was excited and couldn’t wait to pick her band colors . 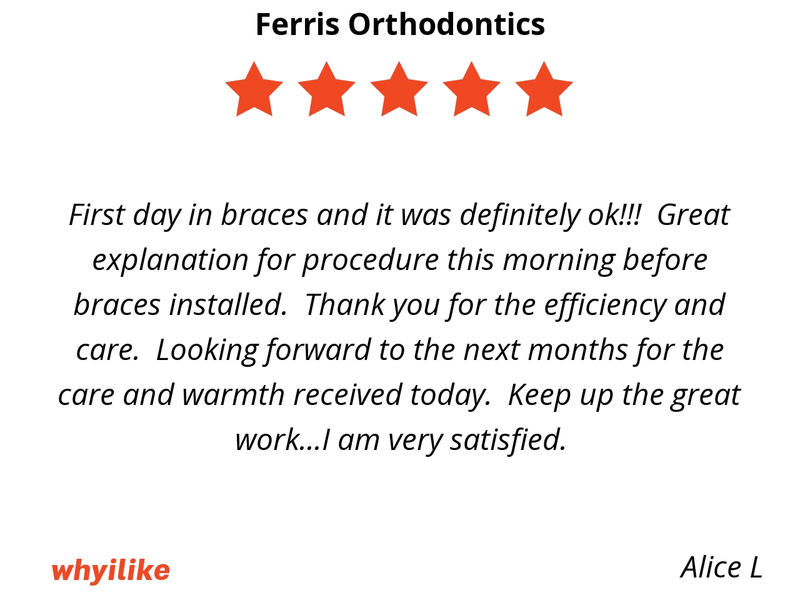 The staff and Dr Farris had a gentle way of putting her mind at ease . Oh and the go home and eat all the ice cream you want was a winner ! Thankyou for a wonderful visit . Looking forward to her brother coming who is next . 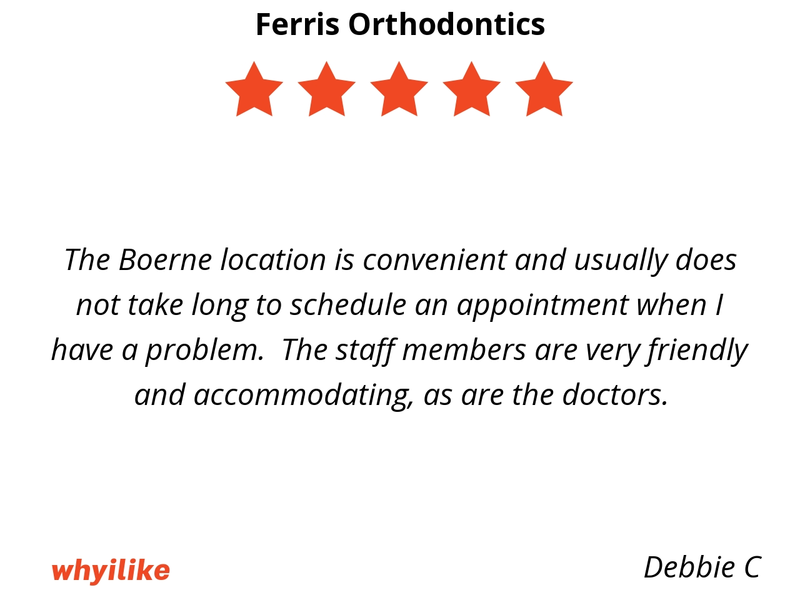 The Boerne location is convenient and usually does not take long to schedule an appointment when I have a problem. The staff members are very friendly and accommodating, as are the doctors.